Officer Andrew Delke has been indicted on First Degree Murder Charges in the shooting death of Daniel Hambrick on July 26, 2018. 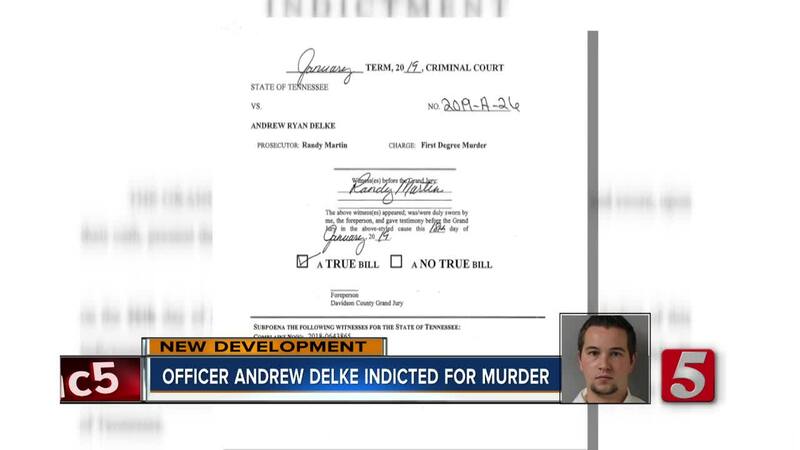 NASHVILLE, Tenn. (WTVF) — Officer Andrew Delke has been indicted on First Degree Murder Charges in the shooting death of Daniel Hambrick on July 26, 2018. The Grand Jury returned with the charges on Friday and the case will now proceed in the Criminal Court of Davidson County. This comes just two weeks after the preliminary hearing was held in which Judge Melissa Blackburn decided there was probable cause to bound the case over to the Grand Jury. Hambrick was shot and killed after leading officers on a chase. He was in a suspicious vehicle when officer Delke tried to stop him. Hambrick was armed with a gun and continued to run away, ignoring Delke's commands. Delke fired shots, hitting Hambrick three times – twice in the back and once in the back of the head. The incident sparked outrage in Nashville particularly in the black community. Multiple protests were held by the local Black Lives Matter group outcry for a community oversight board also increased. 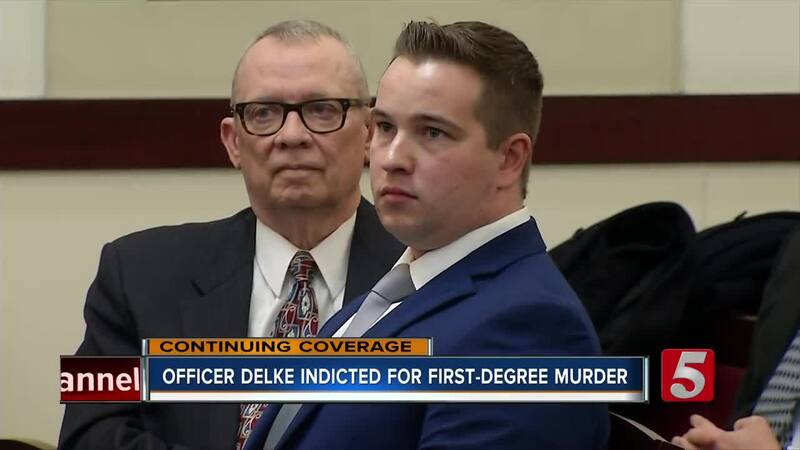 Delke was the second white Metro Nashville Police officer to shoot and kill a black man in downtown Nashville. Jocques Clemmons was shot and killed by an officer more than a year prior, which also prompted rallies and protests. As a result of both incidents, the Community Oversight Board was created. Metro city council members are currently interviewing nominees for the board. Delke's legal team said he would be entering a plea of not guilty. Delke is currently free on bond. He was decommissioned but remains on the police force on administrative assignment while the criminal case and an internal investigation are pending. The case will be handled in court in about a week to ten days for Delke's arraignment. Officer Andrew Delke will continue to defend himself on the basis that he acted in accordance with his training and Tennessee law in response to an armed suspect who ignored repeated orders to drop his gun. Officer Delke appreciates the outpouring of support he has received from members of the community who understand the difficult and often life-threatening situations faced by our police officers every day. While no citizen looks forward to a trial on allegations such as this, Officer Delke and his defense team will trust in the jury system. We will enter a plea of not guilty to this charge. Read more here: What's next now that the Delke Case is headed to the Grand Jury?